If you’ve attended any industry conferences over the past few years, you’ve heard a number of speakers tell you why you need to embrace social media. And quite frankly, doing so makes a lot of sense. Many of your potential clients have social media profiles, making social media great place to connect and engage with prospects. But engaging this audience and creating a voice for yourself can be time-consuming and requires dedication. Where are you supposed to find the time in your day to do one more thing? Keeping your efforts contained to one social channel and building a presence there is a good approach. 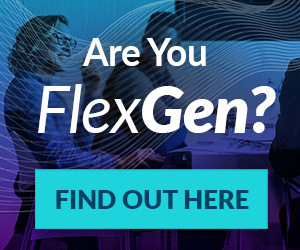 For starters, concentrate on how to use the business networking site, LinkedIn, which is the social media platform most likely to help you get more of the personal introductions that are so important for the growth of your business. Learning to manage and increase your relationships through LinkedIn has paid off for many advisors who implement a consistent, sustainable social media strategy. By following these four steps, you’ll be able to leverage LinkedIn to connect on a personal level with the prospects you want to add to your book of business. Building a dynamic network comprised of professional and personal advocates is the first step to cultivating more personal introductions. After making your list of potential contacts, request a LinkedIn connection with as many of those people as you can find. Avoid using the standard message template in your request to connect, and try making it as personal as possible. Develop a daily routine when it comes to LinkedIn. Social media is, as the name suggests, inherently social. Interact with your network. Take time each day to engage with other people, share informative content and knowledge (within the confines of compliance), and offer your help when the situation arises. 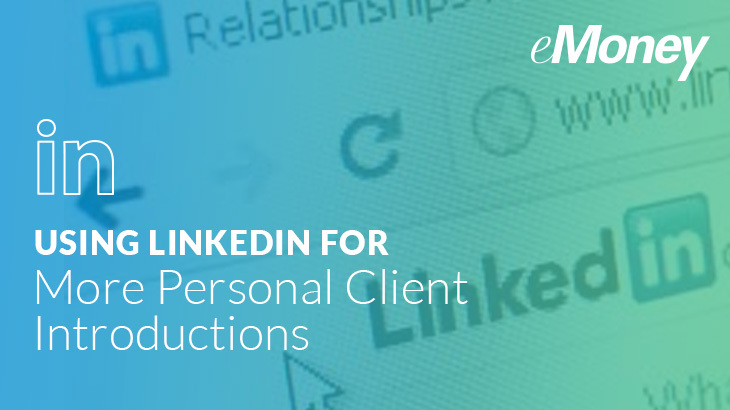 The LinkedIn search functionality also provides a simple way to identify and connect with an audience that fits your target client profile, and gives you access to the networks of your closest connections and advocates. Researching your connections’ networks, affiliations, companies and groups could lead to potential new business connections. Find new connections by simply replying to a relevant group discussion or by commenting on a post shared by a connection. If you’ve laid the proper groundwork by building a good relationship with the people in your network, asking them to facilitate an introduction to one or more of their connections is an easy next step. Just make sure you’re not overstepping your boundaries by making this request. After all, you don’t want to be viewed as a person who’s just poaching connections simply to grow your business. 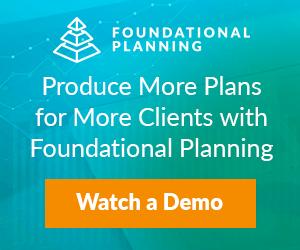 You have to give to get—a simple phone call to a long-time client or an old friend or your cousin is likely to create an opportunity to meet a person that would make an ideal client in the long-run. While asking directly for an introduction to someone of interest is typically not a comfortable experience for many people, I encourage you to step outside your comfort zone. If you’ve followed the steps above and positioned yourself correctly in your relationships, LinkedIn will provide you the knowledge to gains dozen of good introductions a year. 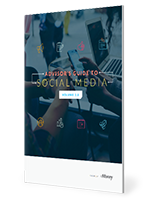 For more tips on how to use LinkedIn and other social networking sites to grow your business, check out our “Advisor’s Guide to Social Media” eBook.